Based at the Northcote College Aquatic Centre, NZL Swim is one of the most dynamic and advanced swim programmes in the country. With a staff consisting of former and current national and international swimmers, experienced and qualified teachers and passionate, highly motivated coaches, we offer a comprehensive range of classes from those first few tentative steps into the pool, through to competition at the highest level. As you can see, there are two pathways to follow depending on what you want from your swim training. Sitting proudly alongside the Learn-to-Swim programme is the Phoenix Aquatics Club Programme which offers a range of squads, from Junior squads, through Age Group & Youth development to Senior International level. The programme is headed by 5-time Olympic coach and former New Zealand National coach, David Lyles and supported by an elite team of coaches with a great deal of National and International success. 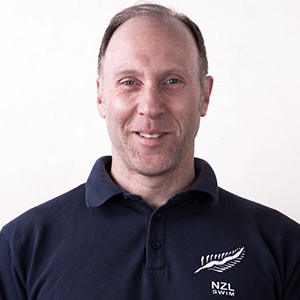 With over 40 years’ experience as a swimmer and coach, David knows what makes good swimmers great and has the best practices to ensure your skills and speed are optimised for maximum performance.